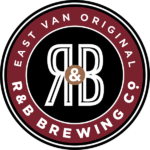 Join the R & B Brewing team! East Vancouver’s Original craft brewery is looking to hire a Production Assistant. Previous brewery experience is an asset but passion for craft beer is a must! !